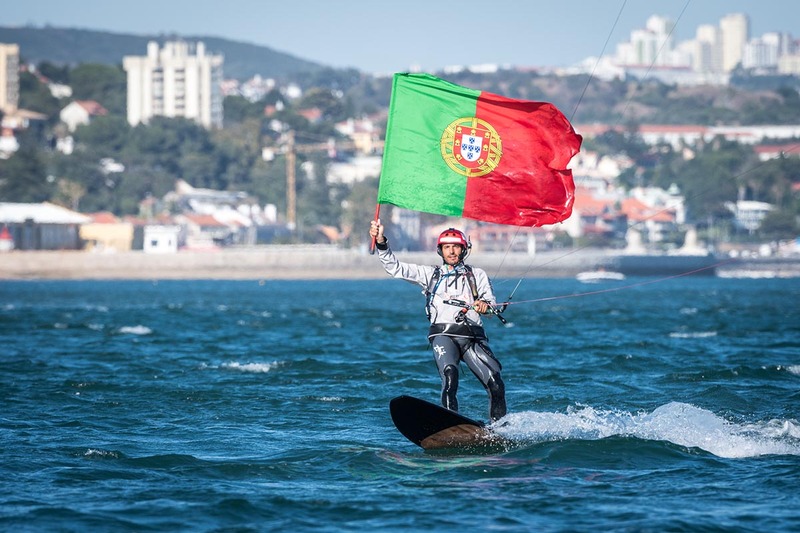 The kitesurfers Anke Brandt and Francisco Lufinha made it. 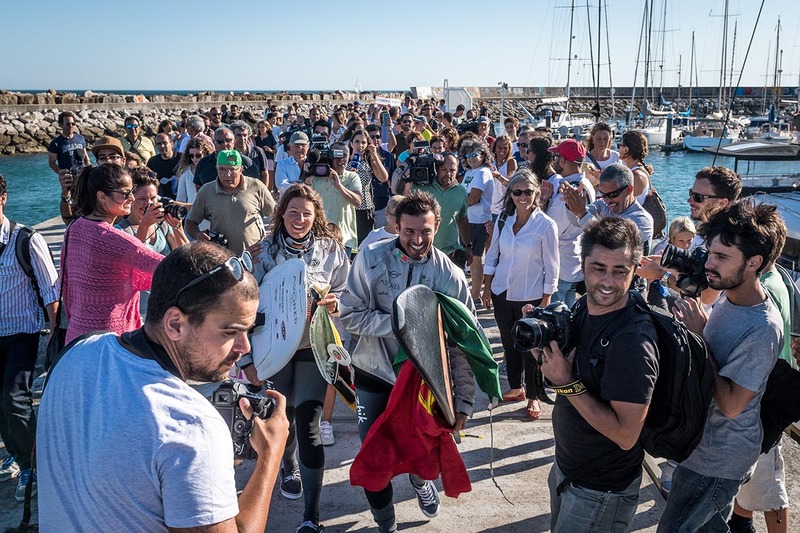 The long distance world record holders reached Oeiras, close to Lisbon, on the 13th of September They covered the distance of 1.500 kilometres. Absolute exhaustion, as well as pure joy to have mastered the challenge, can be seen on the faces of the two athletes. They set a new record. A team of two kiters has never overcome such a long distance before. 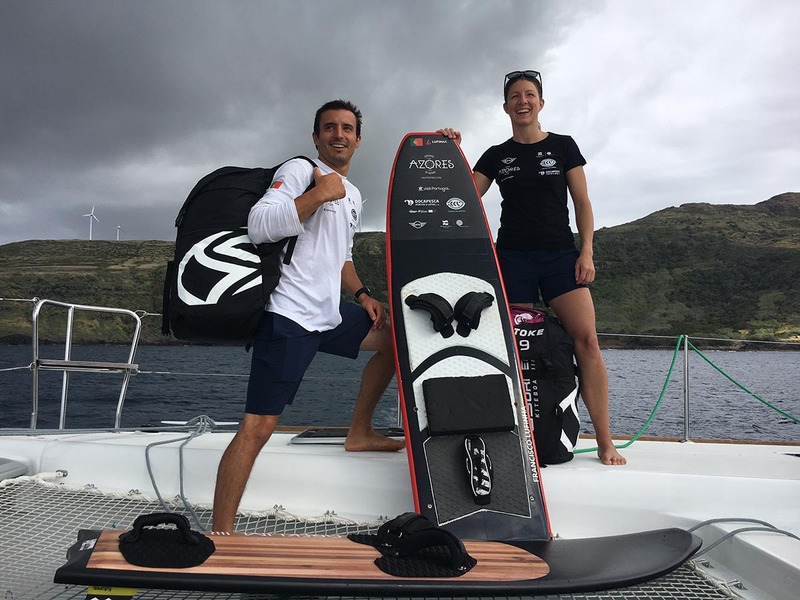 Anke Brandt and Francisco Lufinha left Ponta Delgada on the Azores island of Sao Miguel on the 4th of September. 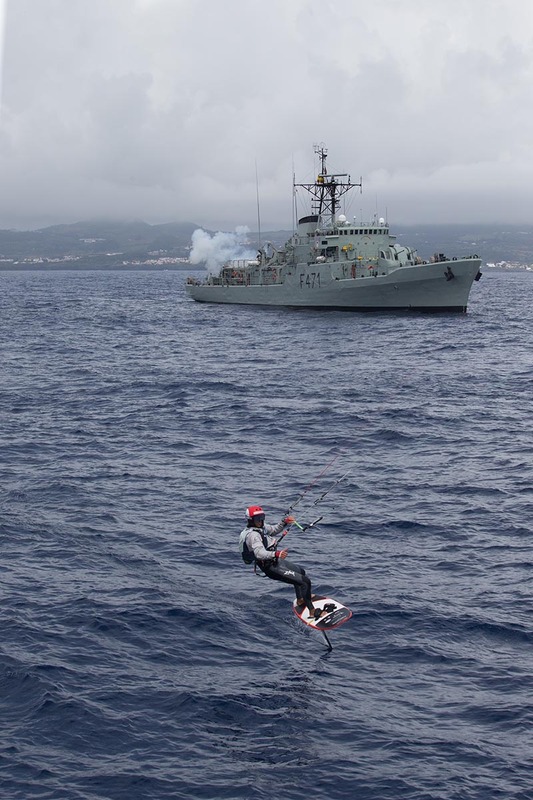 After a promising start, the kitesurfers encountered a no wind zone west of the Azores and had to wait sitting on the board in the ocean for days. 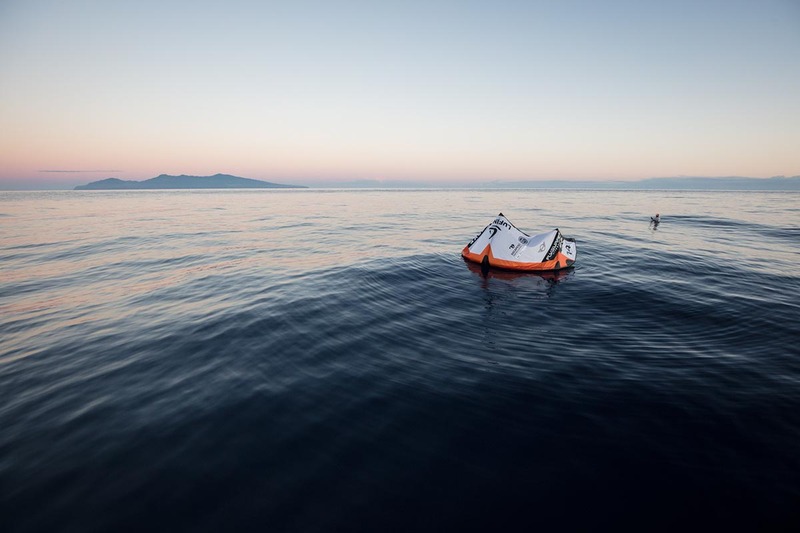 They still took turns every eight hours since the rule also applied in the case of doldrums- one of them always had to be in the water, no matter if there was wind or not. However the wait was sweetened by the visit of a pod of dolphins. 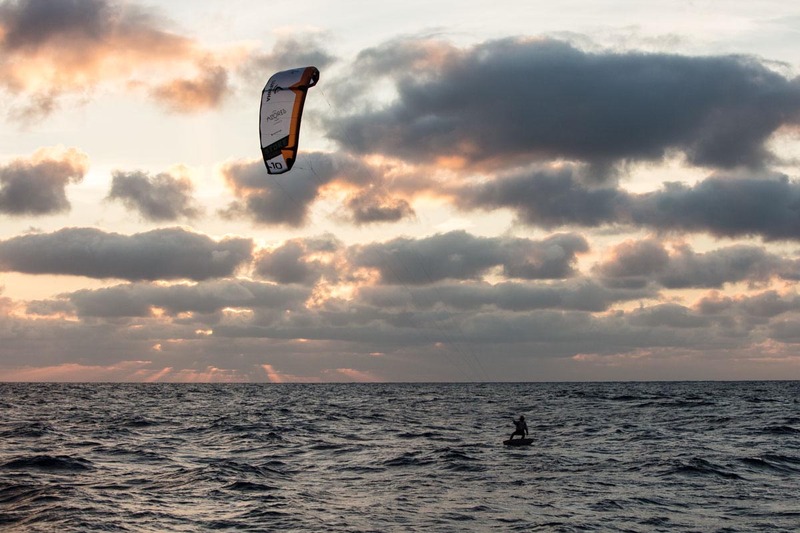 On the evening of the 7th of September the wind returned and the kitesurfers progressed steadily towards Lisbon. A long preparation phase, physical fitness and metal strength as well as the crew on the support boat ensured that the two carried through. The crew of the support boat provided food, water and physiotherapy. 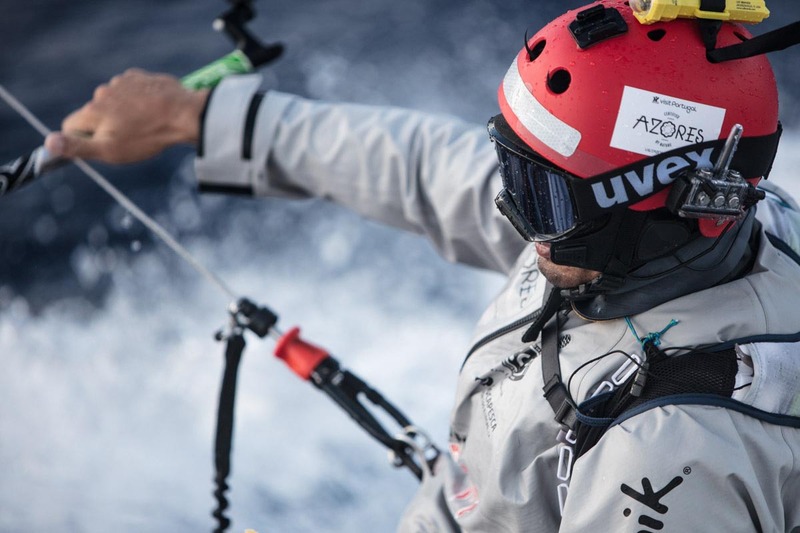 Anke Brandt and Francisco Lufinha surely have proved to be the right ones to conquer that kind of challenge. 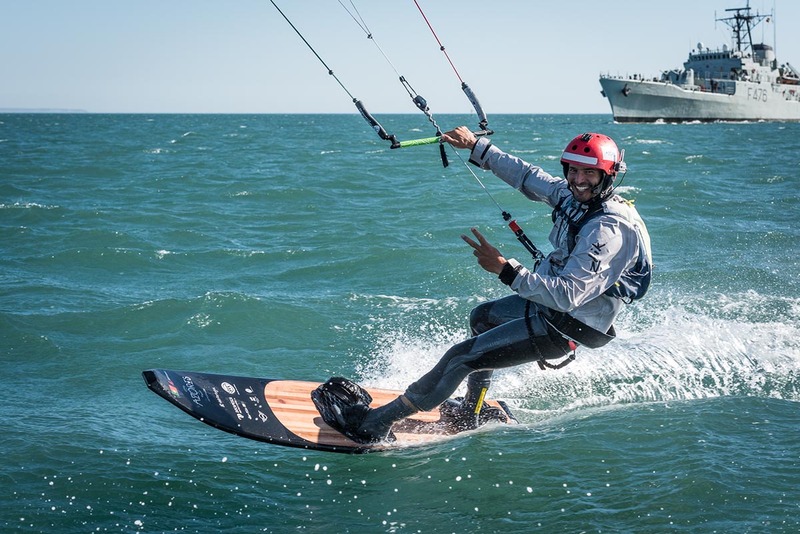 Both are very experienced kitesurfers and hold world records in long distance kitesurfing. Anke Brandt surfed 491 kilometres nonstop from Bahrain to Abu Dhabi in 30 hours. 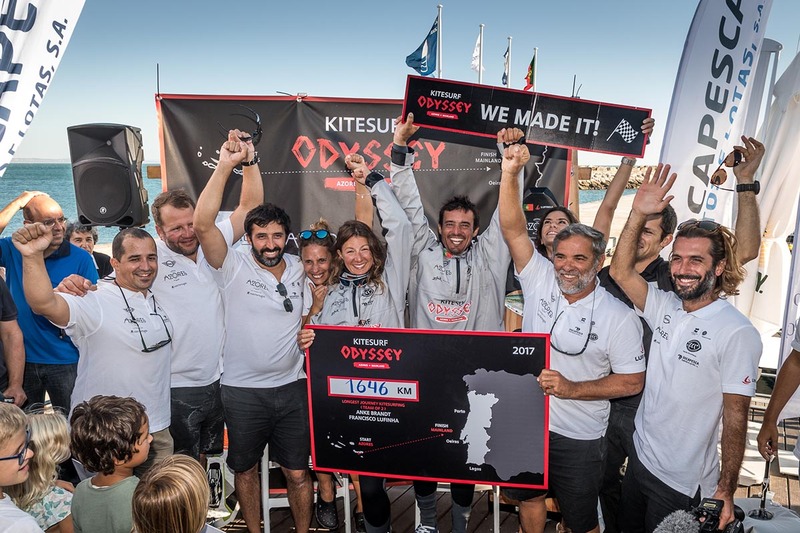 Francisco Lufinha spent 47h 37min on the board when he linked the 874 kilometer long distance between Lisboa and the island of Madeira in 2015.